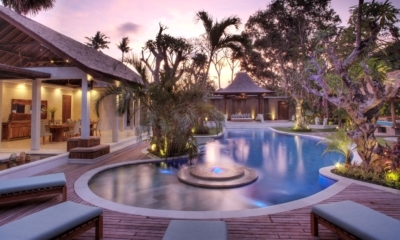 Contemporary elegance and tropical luxury living are yours at Villa Mana in Bali’s Canggu area. This architectural dream villa with its revolutionary design is sure to impress you. 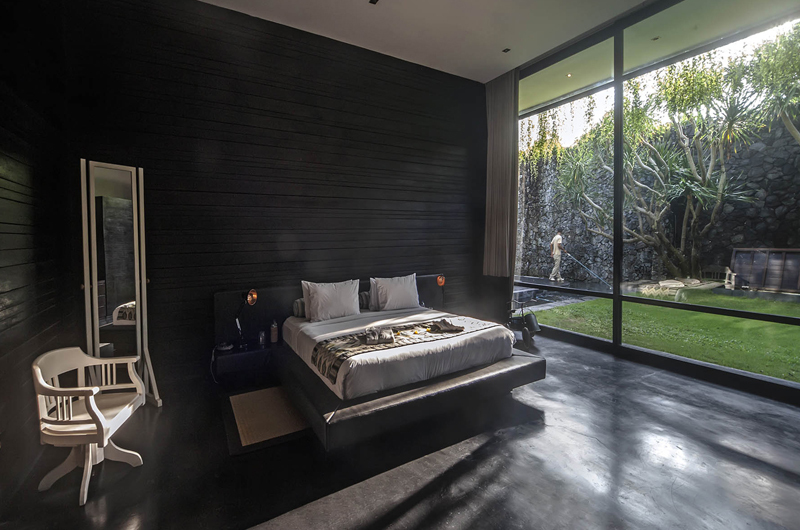 With six luxurious bedrooms, which comfortably sleep 12, Villa Mana is the perfect villa for a holiday with family or friends. 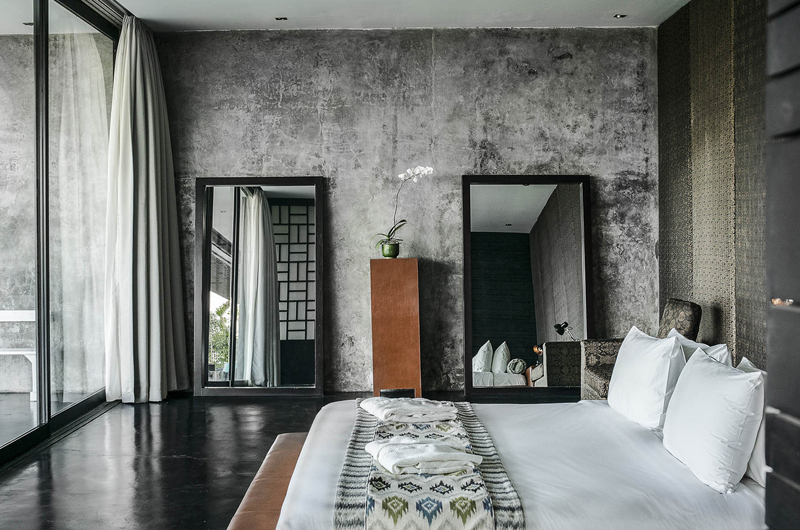 Tucked away in rural Bali, but close to the attractions of Seminyak and Echo Beach, you’ll be able to relax amid the unsurpassed views of rice fields and mountains. Laze on a sun lounge by the pool, or in the relaxation bale. 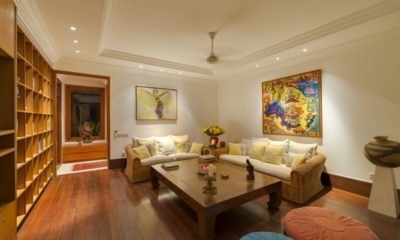 This palatial villa with its variety of indoor and outdoor living spaces is perfect for entertaining. There’s the spectacular, open air rooftop entertainment lounge with breathtaking views, perfect for lounging with an evening cocktail or for an informal, outdoor dinner. 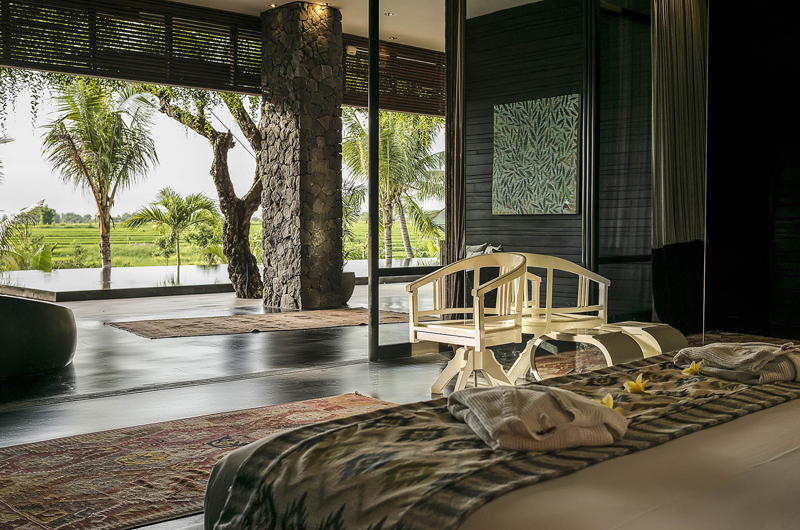 Indoors there’s a vast living/dining area where you can look out across the infinity pool whose waters appear to tumble into the rice fields below. There’s a spacious TV room, the children’s games room and the office. 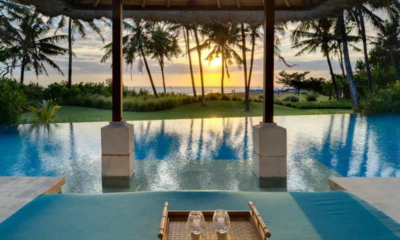 Mix with the crowd, or hideaway – this villa gives you all the options. At the end of the day, you’re guaranteed a good night’s sleep. There are three master bedrooms to choose from – one downstairs and two upstairs. Each has a dressing area and semi-outdoor bathroom so you can relax and enjoy the delights of tropical bathing in privacy. Have a long soak in the ‘built for two’, Japanese style wooden bathtubs in the master suites on the upper level, or enjoy the rainshower. Step directly from the downstairs master bedroom onto the pool deck. 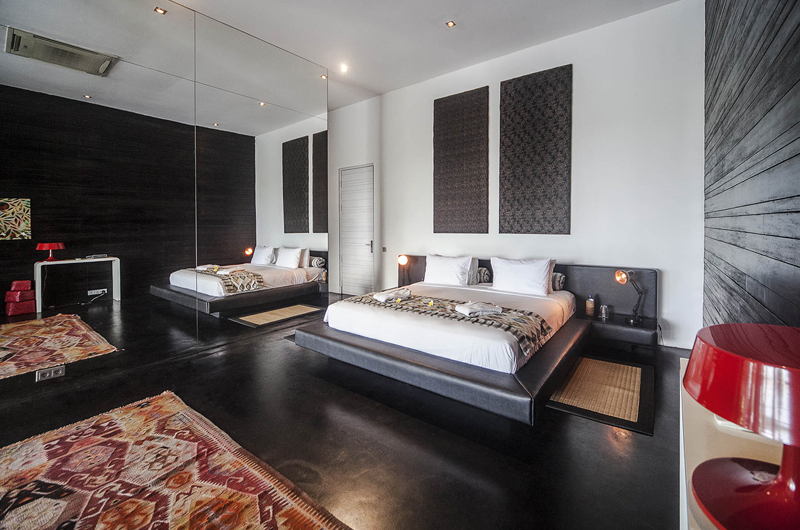 This level also has two king-bedded rooms, each with en-suite bathroom. Each of the indoor/outdoor en-suite bathrooms has a large circular bath, and a rainshower for washing your cares away. 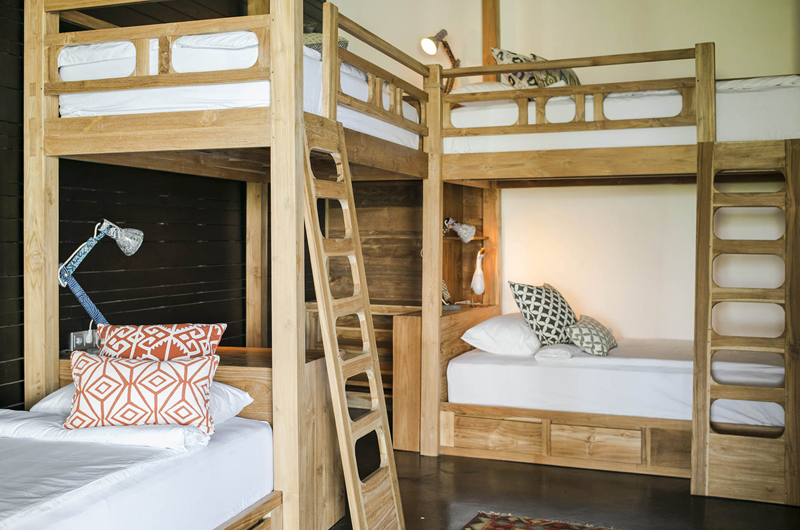 The sixth bedroom, also on the lower level, has twin beds and is ideal for the kids. It’s right near the games room, which opens out onto a private garden with a shallow pool that’s perfect for younger children. I really feel the photo’s don’t do this villa justice as it’s so much bigger when you re there in person, so much cooler with an incredible vibe and fab design!